Headband w Rockabilly Cherries, Sweet Hearts, and Music Notes. They are the finishing touch for your retro look. 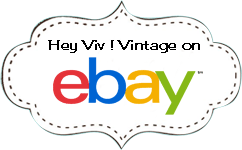 Inspired by the Up-do's and Flip Hairstyles of the 50's and 60's these Hey Viv ! Headbands add just the right finishing touch with Rockabilly Cherries, Sweet Hearts, or Rock'n Music Notes. Each Headband is shipped in a pink organza gift bag to keep your headband handy or ready to give as a gift. Made in the USA exclusively for Hey Viv using high quality Laughing Lizards Appliques.